Family Tree Magazine is an exclusive and best selling title which covers various aspects of genealogy. Buy a single copy or subscription to Family Tree magazine. This magazine reaches your doormat fully packed with essential news and information regarding family history. It is a unique kind of its title and is the leading magazine. An excellent and expert team of writers work hard to make this magazine better and better. They provide with latest news and up to date information, in depth and informative features, authoritative and independent reviews, web guides, expert tips and many other regular departments. There is an online home that brings everything you need to know about family history. 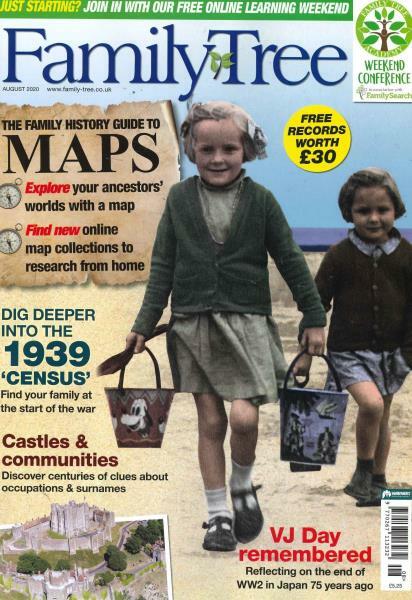 All family history enthusiasts finds this magazine a must read. By subscribing this magazine you will get an opportunity to know more about family history and traces.